The passengers had made 118 small pieces and had concealed them in the slippers. 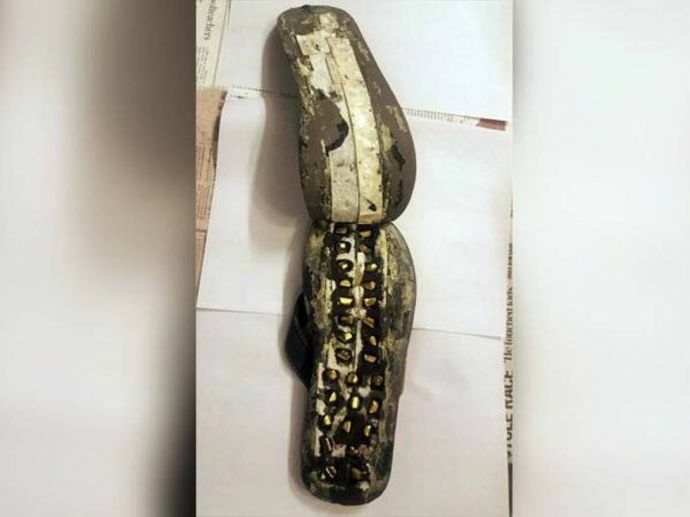 Custom officers at Indira Gandhi International Airport (IGI) Delhi seized 938 grams of gold worth around Rs 26 lakh from two passengers' slippers. They had arrived from Bangkok at the IGI airport. The passengers had made 118 small pieces and had concealed it in the sole of their slippers. They stuck another sole of rubber on the slippers which they were wearing. They were intercepted when they crossed green channel. Talking to TOI, senior customs officer said, "This is a new modus operandi. We recovered 118 cut pieces from both the passengers. The duo said they brought the gold to sell it here. We have been examining each passenger since the demonetisation drive since people have been using innovative methods to smuggle gold and cash inside. Even in this case, we had to remove the sole of the slippers to find the gold".